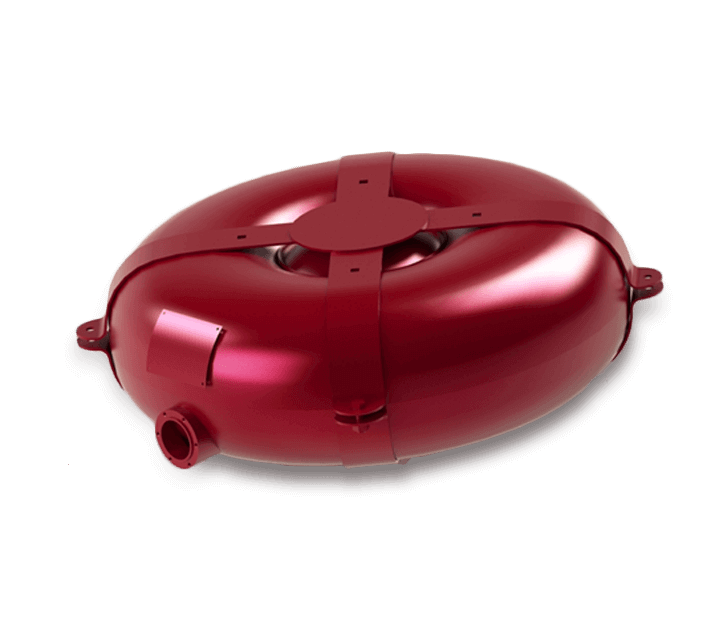 The LPG external toroidal tanks is made in accordance with the requirements of State Standards, our specifications based on design documentation according to the wishes of the customer. For each LPG external toroidal tanks, strength calculation is performed according to applicable standards. 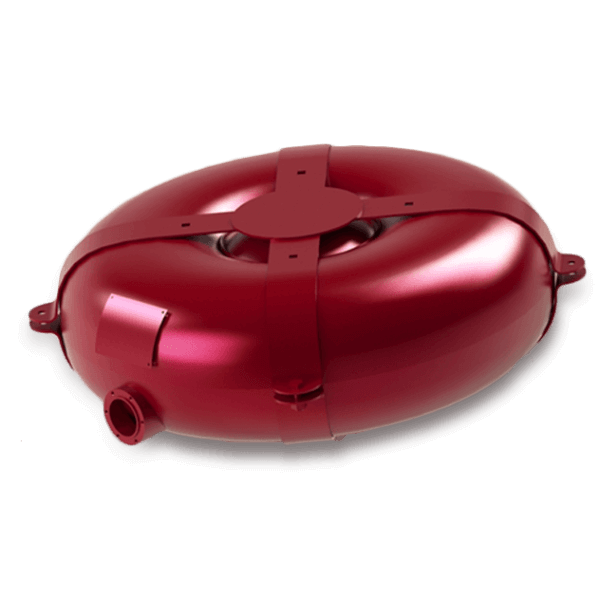 The design of the LPG external toroidal tanks is provided the minimum increase (corrosion allowance) to the wall thickness of 0.4 mm that allows more long-term operation. 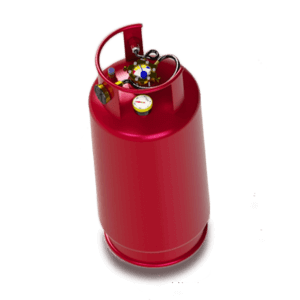 The LPG external toroidal tanks destruction occurs at a pressure not lower than 6.75 MPa. The inner surface and the weld seams are in a natural state, pure, dry and unpainted. Outside corrosion-resistant coating is a powder coat paint based on epoxy resins, it is applied for 5 minutes after pre-treatment which increases the adhesion and prevents corrosion under the paint layer. One of items in manufacturing of which the Kharkov plant of industrial techologies is engaged is the outer cylinder for the compressed gas equipment. You can buy the toroidal cylinder for the compressed gas equipment from the Kharkov plant of industrial techologies at our official dealers. They sale our products at the price of the manufacturer both wholesale and retail. You can buy toroidal outer cylinder at them without the dealer price markup. The contact details of our official dealers can be found here. The external toroidal cylinder Kharpromtech is the product of the highest quality that won the authority among drivers. KharPromTeh’s cylinders are well competetive compared to the European products, and even are leading on some parameters. For example, gas cylinders of KharPromTeh has the wall thickness more than 3 mm. High quality of products of the Kharkov plant of industrial technologies is already evaluated not only by Ukrainians, but also the residents of other countries. The regions of the presence of the products of the plant: Ukraine, Russia, Kazakhstan, Poland, Germany. Our specialists are making tests under the pressure on each product. The special stands are equipped for their conduction. One of the subdivisions of the Kharkov plant of industrial techologies is the design office, which employees calculate the strength of each product. Wall thickness exceeds 3 mm. For making according to GOST 2651 the carbon steel is used. The welded connections are especially strong, because the welding is performed in the inert gas atmosphere. The surface is coated with the special protection paint and anti-corrosion coating. Its term of operation about 12 years, or 2.5 thousands filling cycles. The toroidal cylinders for the compressed gas equipment are installed on the place of the spare wheel. Due to the economy of space in the luggage boot and optimum ratio of parameters volume-size, it won the huge amount of admirers among the drivers. They should not be exposed to the sun beams, it makes their usage unsafe. But the cylinder installed instead of spare wheel will be hardly under the open sun.